Exercise - for good physical health. Regular Health Check / Health Screening - For everything else I am not willing to splurge on the dogs, I am an advocate for regular health screening. That is a must. And this.... is what I am going to write about now. Have an incorrigibly annoying younger brother named Frodo Choo. I first came to truly respect the importance of blood tests quite a few years ago - all thanks to that curly-earred dog named Dumbo. Although he did not display clear clinical signs of being dreadfully ill, I know I sound like one of those nutcase paranoid owners saying this, but Dumbo always had his way of letting me know he was sick. The vet did not think there was anything seriously wrong with him and I could almost sense that impatience for my seemingly psychosomatic ways. The vet impatiently said, "if you really want to know, we can do a blood test". "OKAY!" I gave my blessings wholeheartedly. I am the kind who HAS TO KNOW. If the results turn out negative (never mind I will burn a hole in my thinning pocket), GREAT! The dog is healthy. If the results are positive, then HOLY CRAP! The diagnostics, fundamentally, allow me to make a learned decision on treatment choice and/or arm me with knowledge on how to manage the condition. So yes, Dumbo ended up with elevated amylase which indicated pancreatitis. We were whisked off to do an ultrasound scan to confirm the diagnosis. The rest is history. Dumbo is 13 years old now - still well and alive. P.S. Dumbo owes me nine lives. This impudent and irreverent spoilt brat is still well-alive at 13 years old despite his health scares when he was younger. 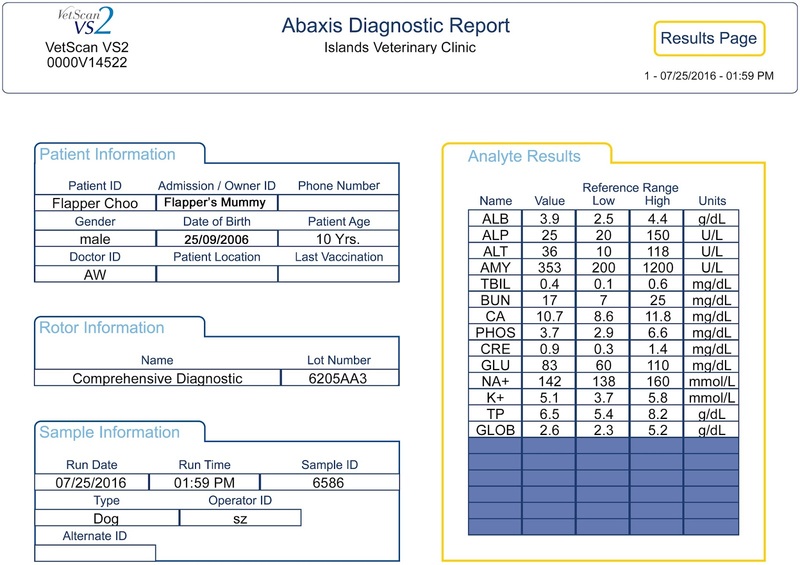 Anywoof, after Dumbo's dramatic episode, I came to respect the importance of medical diagnostics (blood tests, x-rays, ultrasound scans etc) as it provide valuable to an animal's systemic health status. Dumbo's case demonstrated that clinical signs may not be apparent and in recent years, I have seen animals at the brink of death. Many a times the medical "if only" were obvious but perhaps due to lack of knowledge/education, many owners overlook the importance of health screening just because the animal "looks fine". Or many a times, owners feel that vets are just out to "cheat" their money. I have to make a point clear. There is no right or wrong to a decision. There are owners like myself who MUST know, WANT TO know and NEED TO know. There are others who prefers not to know and pretend that all is fine (even if it is not). And for most owners who feels the compulsive urge to MAYBE want to know but when the results turn out negative, they get highly upset and thinks that the vet is only trying to cheat them out of their money calling for the diagnostics. A case of glass half-full, half-empty. One can either choose to celebrate that it's good news the test(s) turned out negative or be disgruntled that he/she just "wasted money" because the test(s) is/are inconclusive. I would happily choose the former even though, yes, it does cause a significant burn to my pocket. With all that said, let me get back to Flapper's annual health screening. 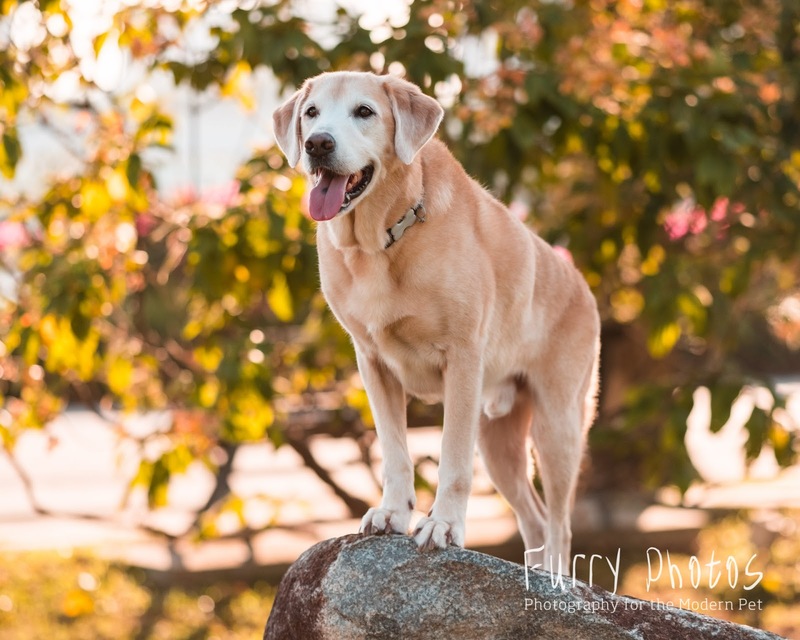 I started Flapper on his annual health screening at the age of 5. 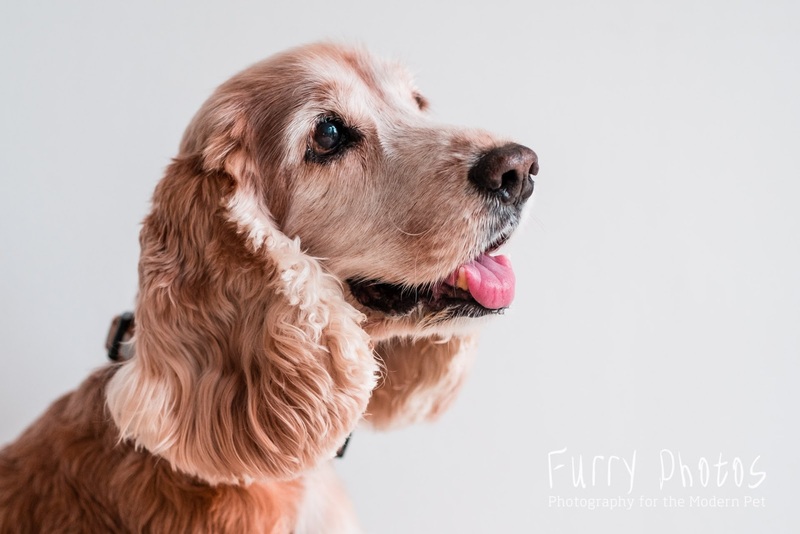 Flapper, unlike his dramatic elder brother (Dumbo) and younger brother (Frodo), is the silent stoic type of dog. He is one of those that, I am almost certain, would not give me clear indications even if he is unwell. Flapper has a ridiculous threshold of pain and tolerance. I always lament that "even at his death bed, he will still be eating like nothing is wrong". On the morning of his last day of filming "My Dog Dou Dou", Flapper had a massive bout of diarrhoea. And what did he do? He would finish through one scene then at "cut", he would run to the grass patch and empty his runs. Then he would get back on set to continue filming as per normal. Don't worry guys, I did dash him down to see the vet immediately once we were done. After his major lumpectomy to remove four lipomas last year, the first thing he did when he woke up from sedation? He was only interested in what the vet team's "feast" at the pantry. No whimpers from him whatsoever even though the surgical sites were did not make it easy for him to lie down on his own right after surgery. He just sat there intent on the people eating. At home, he would be so-called lying down to rest but the minute someone opens the fridge, cone-head him would efficiently report his attendance. I could take him off pain-relief medication the very next day after surgery. The legendary Flapper and his deformed hips - another case of the 'psychosomatic' dog mama. Before his hips condition was officially diagnosed in form of x-rays, the vets used to give me THAT look when I bring up my concern about his hips. I don't blame them, really. Flapper has such a good threshold of pain and he would just manage it - somehow - that during physical examinations, he would not give out any clear indications as to how bad his hips really were... until we did the x-rays when he was two. I am certain that unless I have x-ray vision and/or by way of regular health screenings, I would probably miss out even if Flapper is under the weather - UNLESS he actually stops eating. Fortunately for me, Flapper has always been healthy and never gave me any health problems. Even though he is still active and mobile despite his horrigible hips, I dare not take his health for granted. With his distinguished face of whites and the glaring fact that he is hitting the big 1-0 in a month time, I know the clock is ticking against him. Especially with the recent spat of paws strolling across the rainbow bridge triggered more jitters. It suddenly dawned upon me that he could possibly the last dog standing amongst his pals. Truth: The average life span of a retriever is 10 -12 years. Flapper was due for his annual health screening end March. The mummy in me kept procrastinating as I was hoping to drag it and tie it in with his birthday. You know, that romantic notion of "shiny blood test results" then "Happy 10th Birthday Flapper". Medically, it is not advisable as an animal's health status can change pretty rapidly with age. I was pretty adamant for September. Then in July, from Mr Has-Been to a sudden resurgence of happenings, I wavered. Like humans, it is always advisable to get medical clearance before starting on any high-impact activity. Flapper was displaying signs of some kind of irritation that indicated towards dental health - frequently scratching his muzzle. Other than his age-old cracked tooth, he did not seem to have any teeth problems - superficially. WHAT IF it was something in the roots that I could not see? Teeth for thoughts. I was in the midst of discussions securing his dog food sponsorship. 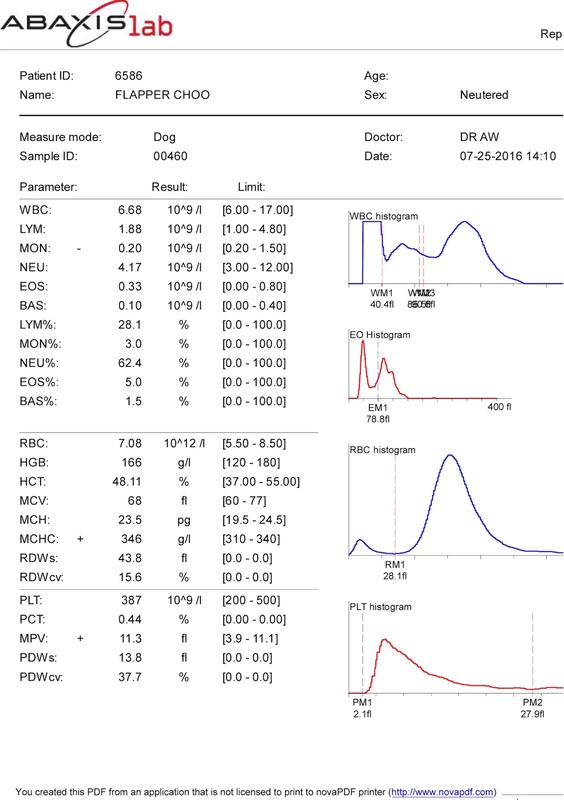 If the boys, especially Flapper, were going to be brand-bassador for the highly-sensitive, almost controversial these days, topic of dog food, I had to make sure his health status indicated so! More about the food sponsorship in part 3. My most-trusted advisor said to me matter-of-factly when I whined about WHEN to do the blood test, "You know what my answer is... do you even have to ask?" I finally went against my romantic notion and decided the time for his health screening was NOW. But first thing first, I called Maranatha Veterinary Clinic to book an appointment for Flapper's first (and last) ever dental - including dental x-ray. I will talk about this awesome dental experience in Part 2. With the dental appointment fixed, I immediately whisked him down to his regular vet clinic for his health screening. Most obvious reason, I need to ensure his health status is good before he underwent GA (general anaesthetic). Waiting for blood test result is like waiting for pregnancy test result - except that pregnancy test takes a few minutes while these flippin' blood tests takes... FOREVER! I jiggled around the clinic nervously as I waited for the results. I looked like a moron really. I could not help the nerves. "Celebrity dog" is Flapper's alter-ego persona. At the end of the day, he is someone's precious pet. And I cannot help my ridiculous pawrental nerves as I await that familiar bing from the machines to announce the arrival of results. Comprehensive Biochemistry - Complete chemistry and electrolyte analysis for general health. It includes 14 paramenters - ALB, ALP, ALT, AMY, BUN, CA, CRE, GLOB, GLU, K+, NA+, PHOS, TBIL and TP. In very simple words, I just want to find out his liver and kidney functions la! And then the rest of the blahs including electrolytes, glucose, phosphorus, bilirubin and total protein levels. Complete Blood Count (CBC) - Evaluates the different types of cell in the blood - red blood cells, different white blood cells and platelates. It provides information for diagnosis of various condition including anaemia, inflammation, infection, leukaemia and bleeding disorder etc. 4DX Snap Test - To test for Heartworm Disease, Ehrlichiosis, Lyme Disease and Anaplasmois (the later three caused by ticks). Chest X-rays - Check on heart and lungs. After what seemed like eternity, which was in truth only 20-30 minutes, the results came rolling in. I nearly burst out in tears of joy. THE RESULTS WERE SHINY LIKE THE STARS ABOVE. NOT A SINGLE VALUE OUT OF PLACE. 4DX - All negative. Yay! Chest X-ray - Heart is good. No enlarged heart. His lung patterns, however, was the only thing that showed his age - known as "old man lungs" aka increased interstitial lung patterns. Full physical examination - all is good. Healthy heart sound. No heart murmur (thank God!). "I, Flapper Choo, am happy to announce that my health status is squeaky clean. I AM IN PINK OF HEALTH!" I can finally heave that big sigh of relief and put my mind at ease for another year! And now that the nail-biting health-screening is over... next up on Flapper's "Pursuit of Wellness", his virgin dental treatment! In the meantime, I thank God for his excellent health and by His grace, more years - don't know how many more - with this zero-to-hero dog named Flapper. Flapper Choo. Because every moment is precious with this extraordinary 'son' of mine. 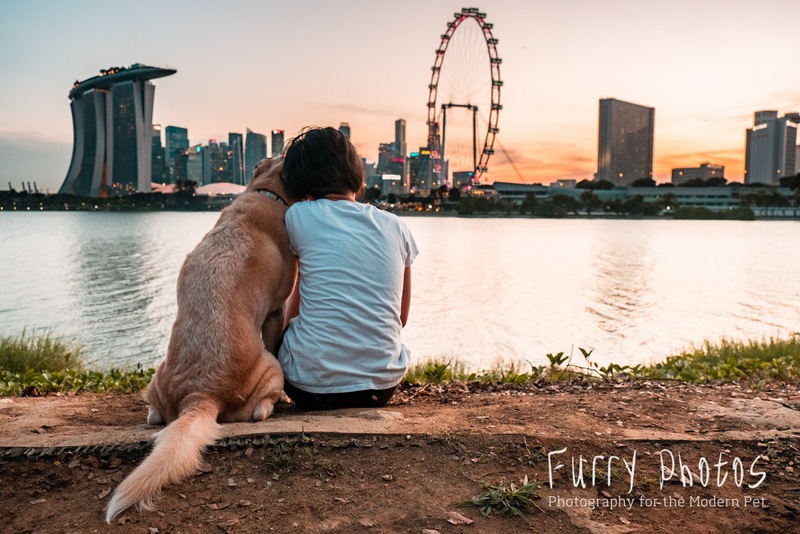 A special moment of just Flapper and me watching the sunset captured by our good pal, "Uncle Nic" of Furry Photos. This photo is even more momentous as we countdown to Flapper's 10th Birthday and well, treasuring the bonus months and years I have with this gem... and embracing the new adventures to come!